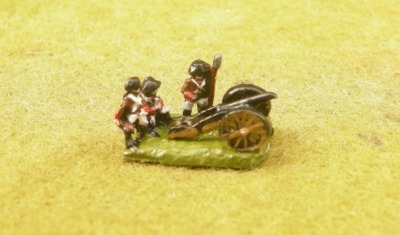 With artillery sets, 12pdr guns are available on request. REV 2 & 3 Infantry in cocked hat. REV 4 & 5 infantry in Tarleton helmet. 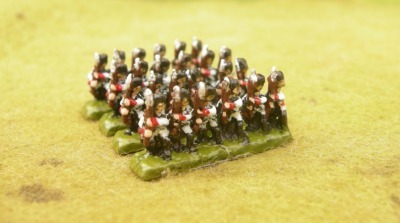 100 Strip (550 - 600 figures; cavalry count as 2 strips) Division Packs, for any Nation. Made up to our own realistic and balanced composition. All £32.00 each. FN1 (left and right) & MN26 (centre) Commanders. FN 9 & 26, old guard. Painted by Anne Shim. FN11,14 & 13 French infantry. 2 regiments of FN18 Chasseur a cheval. 2 regiments of FN19 hussars. 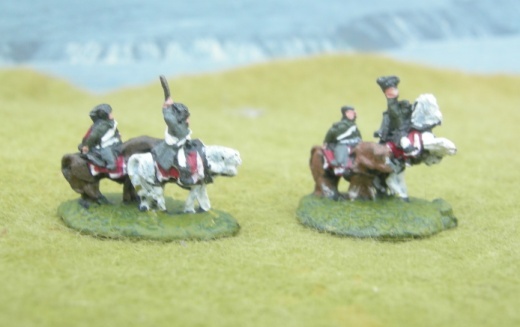 PN6 & 4 Prussian infantry. PN 3 & 5 Prussian line infantry. 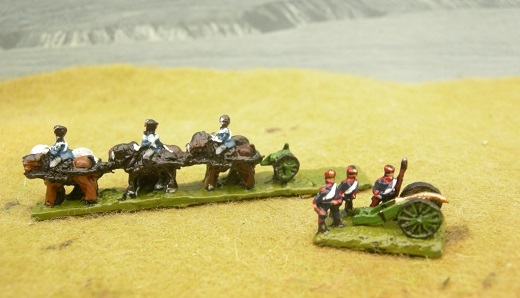 RN2 Cuirassiers, painted as 1870 Bayern Chevaux legers! 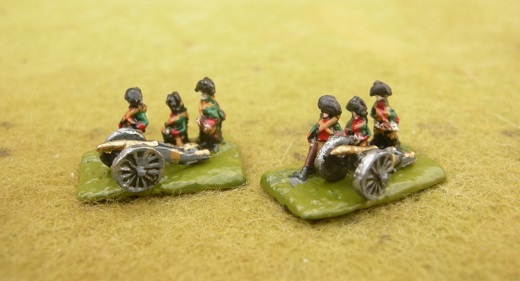 RN3 Dragoons, and RN6 Uhlans. 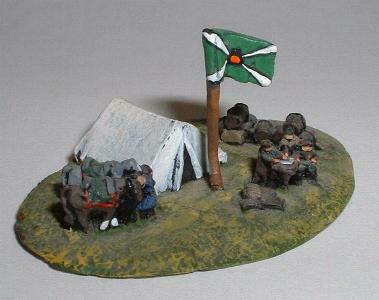 RN12 greatcoat infantry and MN11 Greatcoat command. RN5 & FN17 Russian & French cavalry. MN23. Photo & painting by Angel Barracks. MN2 French Caisson, MN3 Ammunition Wagon. Actually these come with 6 horse teams. 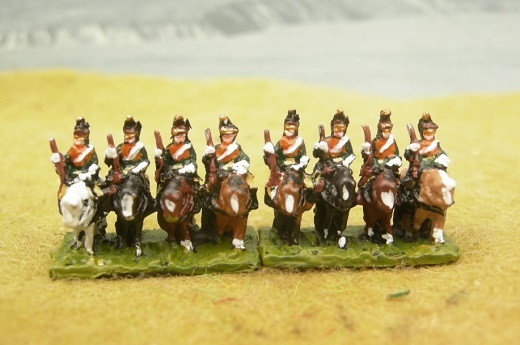 Light Cavalry brigade - Comprising 5 x 16 man regiments, 3 x horse artillery sets, and commander base. Heavy Cavalry brigade - Comprising 5 x 16 man regiments, 3 x horse artillery sets, and commander base. 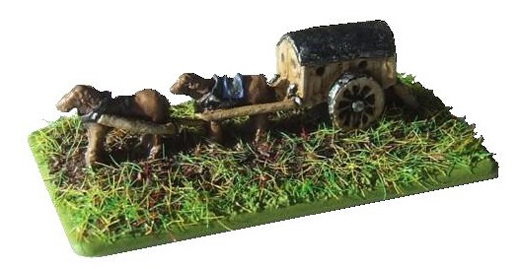 Mixed Division Packs - Comprising 8 x 36 man battalions, 1 x 36 man skirmisher battalion, 4 x artillery sets, 4 x 16 man cavalry regiments and 3 commander bases. 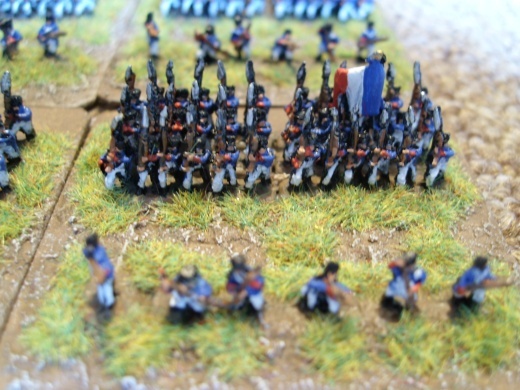 A Napoleonic game in progress.